Tribute to my best student to-date! An idea, a spark, a moment. All can change the world in an instant and alter it for a lifetime. This is exactly what happened with the “ LORD” as Harsha Suryanarayana was called with affection in the field Coding. ‘‘Guy like Harsha can’t get away from the thoughts of people who know him and his family members. They are constantly looking for answers, debating on death at an early age and it was not the time to say Good bye. As Edward Lorenz had coined the Butterfly effect Harsha would have brought in a massive revolution by preparing next set of coders by organizing and mentoring young students at coding camps. I can understand and believe to the core that his other nickname “humblefool” had a lot to do with the environment he was brought up. When I visited his family after about 10 days he bid good bye to us… I could see the courage in each and everyone’s eyes of his family members – from his parents to his wife Neha to his sister and all other relatives who were present at home. The humbleness he had adopted from his parents was what he displayed to the whole world. The freedom he had got from his family members had made him achieve what he had done in the field and also surprised everybody about his achievements. I remember his school days teaching him Computer Science as a Subject in ICSE Grade VIII to X. For every problem he had more than 3 to 4 methods of solving which he used to come up with his own logics. The academic side of this guy was unbelievable. His mind was truly wonderful and I have grown learning in my early days as a teacher from him on different ways of algorithms techniques. 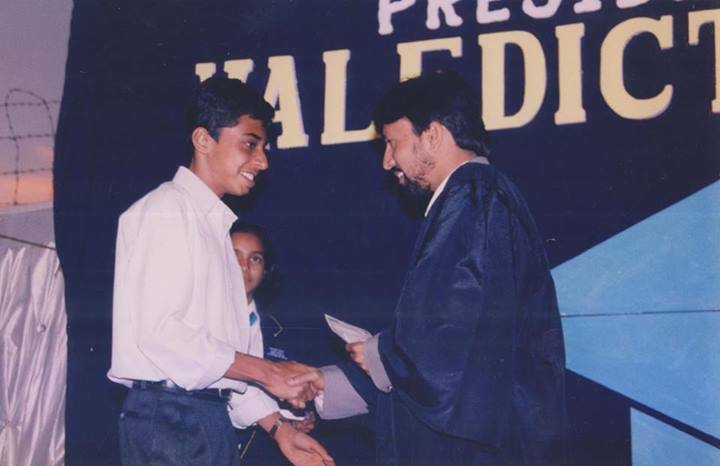 Harsha was no doubt one of my best students and I feel proud of him because in my 23 years of teaching career of Computer Science in ICSE Schools and heading schools across the country he is the only one who had scored cent percent in Board Exams. Probably no one ever could get close to him in scoring. I also loved him for a simple reason that he was good at dramatics and he could imitate my style of teaching, standing postures and my way of explaining or handling the class. He was a genius no matter who he was talking to or who was around him, he had the ability to converse on every level and engage with them. He had a huge influence to his batch mates when he walked into the class for the first time in Grade VIII. As his classmate Sharath Rajan shares that his presence in the class gave a big boost and motivated all others to do well and took each and every classmate of his to a different level. The class always had a healthy competition and he never showed off whenever he got his papers or won awards. It had always been a pleasure correcting his papers and I had always done that by closing my eyes as I was very confident that he would never make a mistake which he never did. I have no illusions that I will ever impact anybody the way Harsha has done to me and many others, because I honestly don’t think anyone ever will again come that close who looked at life and earning as an easy going. Will there be someone in the field of coding who can create the same butterfly effect which Harsha had started, dreamt, carry the legacy and vision that simple sweet Harsha Suryanarayana had. May Harsha Suryanaryana Rest in Peace!